The Clovers were formed in 1946 and had enjoyed a successful recording career, including numerous releases for Atlantic, and "Love Potion #9" (another Leiber, Stoller number) for United Artists, when Roosevelt "Tippie" Hubbard joined them as lead singer in 1962, replacing Billy Mitchell. They recorded as both "Tippie and the Clovermen" and "Tippie and The Clovers" for the Tiger label. 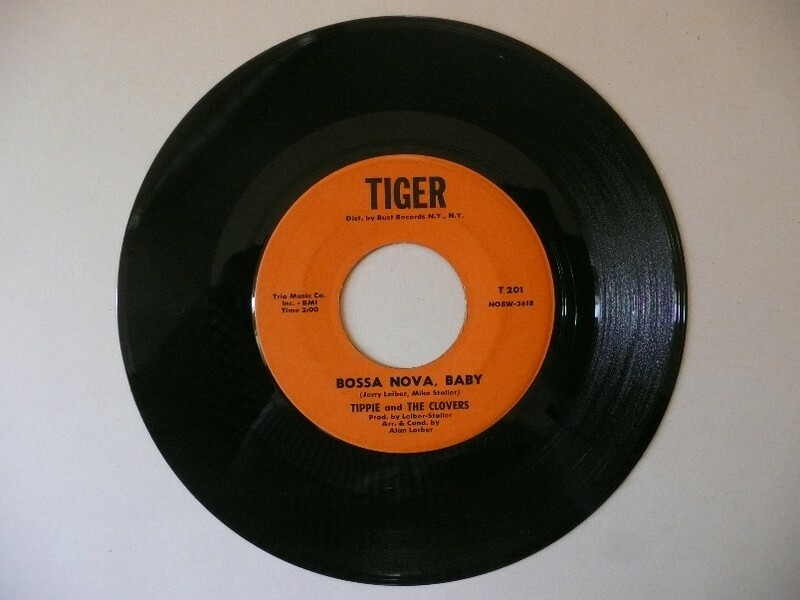 "Bossa Nova, Baby" was released on Tiger T201. The Bossa Nova was of Brazilian origin; Fun In Acapulco was a film whose action supposedly took place in Mexico.